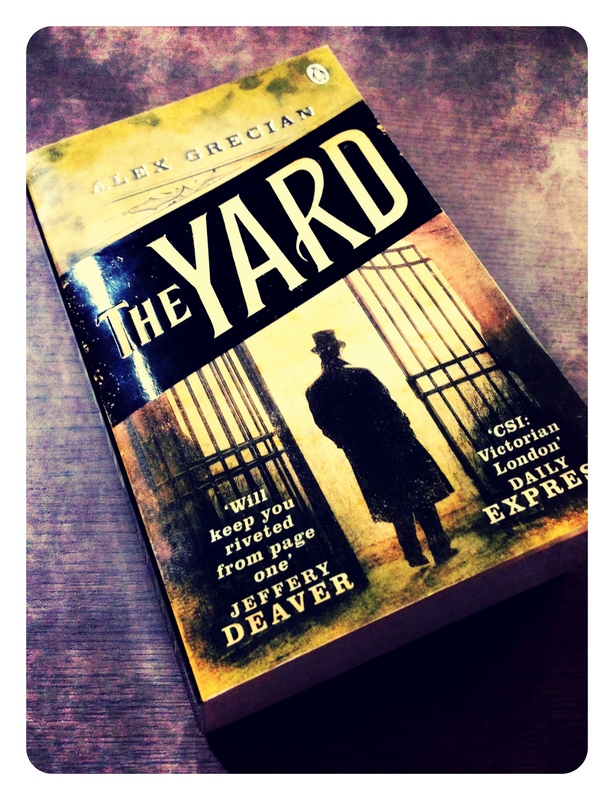 I’m usually not that much into historical fiction but books like Alex Grecian’s Murder Squad series about a subdivision of Scotland Yard that was formed to face the new and terrifying kind of crime that Jack the Ripper has brought to England in the late 19th century have led to me becoming quite a big fan of historical crime fiction, especially when it’s set in Victorian London. Grecian’s books have been a special gem in this subgenre to me from the very first novel, not only because I found the mysteries intriguing and was captivated by the dark atmosphere but also because I’ve grown fond of every single character that belongs to the Murder Squad, a bunch of policemen and forensics that are willing to give their lives for justice and for each other. That’s why I was very happy to find out about the existence of „The Blue Girl“, a novella of about 40 pages that is set between the „The Black Country“ and „The Devil’s Workshop“, the second and third book in the Murder Squad series – even though strictly speaking this short story is not really a Murder Squad mystery since most of the protagonists that Grecian’s readers know (and hopefully love) from the novels are missing in this novella. There’s no Inspector Walter Day and no Sergeant Hammersmith and the only main characters that have an appearance in „The Blue Girl“ are the forensic pathologist Dr. Bernard Kingsley and his daughter, while the star of this story is someone you wouldn’t expect to be the „hero“: Constable Colin Pringle, neither a very ambitious nor a very competent policeman, who feels more or less compelled to solve the murder of a young woman who was found dead in the canal, apparently just hours after getting married. While everyone seems to assume a tragic accident, it’s the coroner’s daughter Fiona who calls on Pringle to pay his last respect to the deceased and find out about the circumstances that led to her tragic and early death. Constable Pringle, please take over! Given that „The Blue Girl“ is only a short story you obviously can’t expect an investigation with the depth and complexity of the novels in the series but I still enjoyed this novella a lot because it provides a different and interesting perspective of Grecian’s crime-solving universe by switching to a minor character of the series and even making him the first-person narrator. And while I never thought highly of Constable Pringle in the main series I really learned to like him in this story because even though this man might not be the brightest star of the London police and often care more about his appearance and his effect on women than about the actual crime-fighting I learned that Pringle is not a lost case yet and even with his limited means can contribute something to making London a safer place and doing justice to the poor souls that fell victim to the terrors of England’s capital. Yes, Pringle might seem superficial at first glance (and maybe also at second glance…) and also need a little push sometimes, but it’s nevertheless a person with a heart and the way Alex Grecian brings him to live is another perfect example for why I love the Murder Squad series so much: not because the mysteries are the most elaborated and thrilling in the (historical) crime fiction genre but because Grecian is fantastic at creating characters that feel real and that are easy to sympathize with, even when they have obvious weaknesses like Colin Pringle. 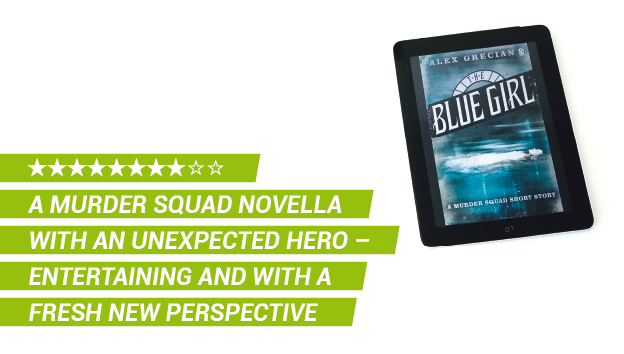 That’s why I think that „The Blue Girl“ is a very entertaining novella and a valuable addition to the Murder Squad series and it made me wish once again that more readers would travel to Alex Grecian’s Victorian London so that his books would get the attention they deserve – trust me, they’re great. 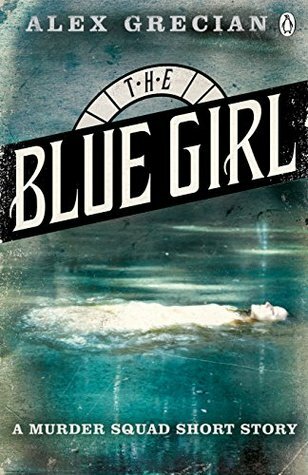 Even though strictly speaking "The Blue Girl" doesn't really count as a "Murder Squad" short story because most of the characters from Alex Grecian's main series weren't involved in this case, this novella provided an interesting (an in some way even bookish) mystery and it was especially fun to experience it through the eyes of a minor character.